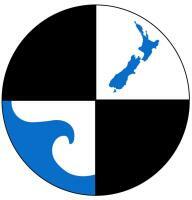 The New Zealand Freshwater Science Society comprises a huge range of people with various expertise and interests. Each year, representing this in our conference material, website, promotional collateral and communication becomes harder without up-to-date, relevant and good quality photographic imagery. The Society would like to build a resource library of quality images that show the diversity of our work in interesting, dynamic and engaging ways. So this year we're throwing out the challenge to anyone working in freshwater science and management within New Zealand to enter your best photos in the 2018 NZFSS Silent Auction giving you the chance have your work recognised and acknowledged by your peers, as well as be used by the Society in future publicity material. All entries will be printed on high-quality A3-size paper and on display for the duration of the 50th Annual Conference to be held on 10 – 14 December in Nelson. Prints will be available for purchase by conference delegates in a silent auction. Images should be supplied as high-resolution jpeg files, of suitable image quality at a maximum size of 5mb. Images should be emailed to Shelley Haring at On-Cue (Shelley@on-cue.co.nz) on or before 20 November. The Auction is open to members of NZFSS or anyone attending this year’s conference. Photos supplied must be the original work of the photographer submitting the photo and entry implies that people, businesses or organisations depicted in the photo have given permission to the photographer to feature in publicity material. The submitting photographer freely agrees to their photographs being used by NZFSS in future publicity without seeking further permission and without the photographer seeking further remuneration or compensation. NZFSS agrees to credit the submitting photographer where possible and practical. NZFSS Conference Organisers or representatives are not responsible for checking the authenticity, copyright or permissions in each photo and will not be held liable for any issues relating to these areas. Submissions that are deemed to be of unsuitable reproduction quality or those that do not meet the entry criteria will not be printed. Entry in the silent auction implies acceptance and understanding of the rules and criteria noted here.